In October, the Board heard reports on several topics including an update on the Digital Learning Task Force, the selection of the Envision Eanes committee, the review of potential bond category #2 (energy efficiency & conservation) and an update on the Special Education initiative. You will notice there are numerous opportunities for discussion and involvement; please participate as you are able. See a synopsis of the October meetings below. The full Board agenda packets are online. Trustees were provided an update about the selection of the Community Building Group on Inclusive Culture then heard an update on the board-directed implementation of a program evaluation/audit of the Special Education Department utilizing an outside consulting group. See Special Education Initiative memo. The Board heard discussions on the second table of items (Energy Efficiency and Conservation) in connection with a potential 2019 Bond. The categories in discussion are: Safety & Security, Energy Efficiency & Conservation, Facilities, and Student Programs & Support. Each category will begin discussion at the Bond Advisory Committee then follows with a presentation to the Board. See Energy Efficiency & Conservation memo, supplemental memo and presentation. Future discussions and information listed on www.eanesbond.com. 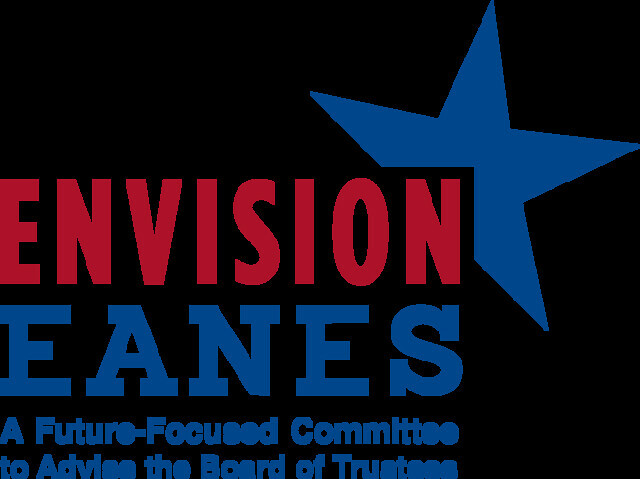 Trustees unanimously approved community members to the future-focused Envision Eanes advisory committee.The 25 voting members and seven alternate members are charged to explore how Eanes ISD can become a greater institution of education and innovation for the next generation, being mindful of student wellness and achievement. Evaluate the current reality as it pertains to technology and make recommendations on how Eanes ISD can improve our digital learning environment and integration of technology in our schools. Recommend appropriate future use of both district-issued and student personal devices and associated handbook language. Investigate the overall learning environment beyond student mobile devices, including A/V, blended/online learning, and integration of instructional materials. See the DLTF memo and presentation. Future discussions and information listed on www.eanesisd.net/DLTF. Representatives from Maxwell Locke & Ritter presented an Unmodified Opinion, the cleanest audit awarded. The District was also given a perfect score with a Superior rating in the Financial Integrity Rating System of Texas (FIRST), which rates districts on the quality of financial management practices and how resources are directed towards instructional purposes. See audit and FIRST report. The next study session is November 6 (6pm open session) and the regular meeting is November 27 (7pm open session).